Matthew McConaughey is a popular actor - or as Nathan and Mimsy describe him, "a fake soft-spoken douchebag that everybody loves". He's used a number of products "way before [he] was paid to" endorse them. He worked for Timmy Burch as a Handicar driver before later driving a Lift Car in the Wacky Races. A mix-up with Mimsy resulted in his car's destruction and a small wormhole transporting McConaughey away for good. 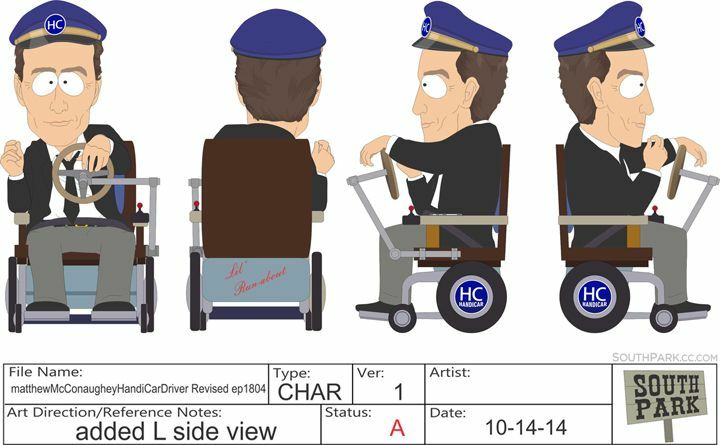 This shot of McConaughey required special poses & a wheelchair with a steering wheel... He just likes how it feels. 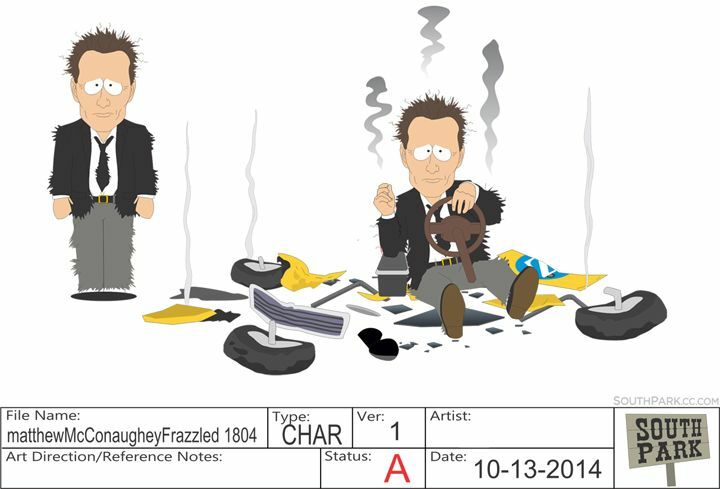 A special "frazzled" version of Matthew McConaughey was made for this scene..
His appearance in the episode parodies his commercial endorsing Lincoln cars, as noted by Mimsy, as well as his role in the then-upcoming film Interstellar.